Inspired by true events, masterful storyteller Tom Grace delivers his most provocative novel yet. InThe Secret Cardinal, ex-Navy SEAL Nolan Kilkenny returns in an adventure that races from the grandeur of the Vatican across the vastness of Asia, ultimately involving China, the Mafia, and the conclave of cardinals that will elect the next pope. When Kilkenny is invited to Rome to consult on the functioning of the Vatican Library, he is still grieving the death of his wife and son and welcomes the distraction of the seemingly simple assignment. But Pope Leo XIV has a startlingly different task in mind for him. In a private audience, Kilkenny learns of an unreported atrocity committed against the underground Church in China and its link to Yin Daoming, the long–imprisoned Bishop of Shanghai who has served thirty years of a life sentence in a Chinese laogai for refusing to renounce the Church of Rome. The aging pope then reveals a dangerous fact about Yin that only he knows—twenty years earlier he had made the imprisoned bishop a cardinal in pectore—a secret cardinal. Decades of diplomacy have failed to end China’s persecution of the Catholics loyal to the pope, or to free Bishop Yin. The pope wants Yin free, and asks Kilkenny to devise a plan to accomplish this seemingly impossible task. Kilkenny suddenly finds himself working hand-in-hand with the head of Vatican’s intelligence service to engineer a daring rescue operation. With help from the U.S. President, American Special Forces and the C.I.A., he assembles a team of ten men and one woman who will use some of the most advanced weapons, aircraft, and computer technology to execute this extraordinary mission. 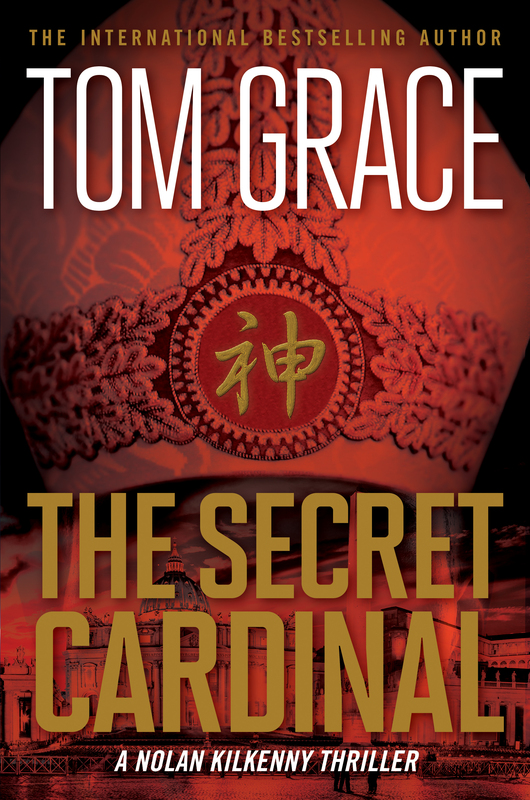 Filled with fascinating detail about the history, politics, and people of China and the Roman Catholic Church, and the clever advanced technology and weaponry that have become hallmarks of a Tom Grace novel, The Secret Cardinal charges relentlessly toward an unexpected and unforgettable conclusion.